According to the Virginia Cooperative Extension, core aerating is recommended to control thatch, improve root development and increase water and nutrient uptake. Most often core aerating involves renting a power machine and running it across the lawn to pull out small chunks of the lawn. These chunks are placed all over the lawn. A simple power device can be made that will perform the aeration necessary without leaving unsightly chunks all over your lawn. Attach the drill bit extender to the 1-inch drill bit by tightening the chuck of the drill bit extender onto the drill bit. Attach the drill bit extender to the drill by tightening the chuck of the drill onto the drill bit extender. Perform a trial run with the drill to ensure the drill bit turns and everything works appropriately. The drill should turn in a circle and not wobble. If needed, readjust all attachments to make the drill bit turn in a circle. 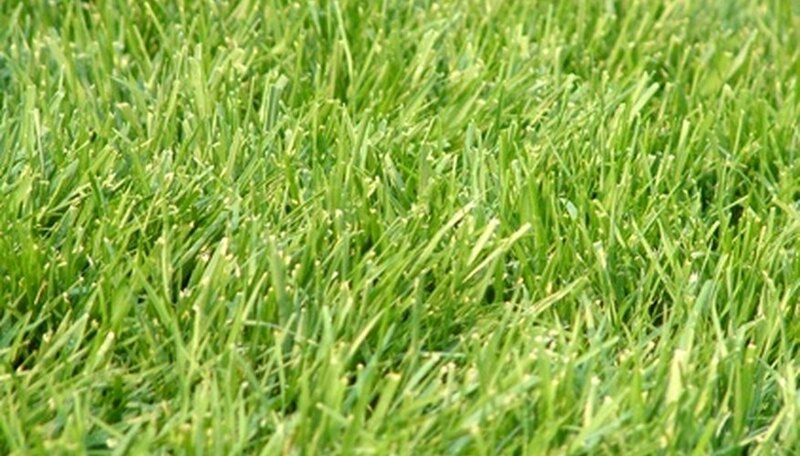 Aerate the lawn by running the drill bit into the ground to about 2 to 3 inches below the surface of the ground. Repeat the aeration every 3 to 4 inches. This method can be spread out over many days and can be repeated as often as necessary. Use appropriate hand and eye protection when using a drill.